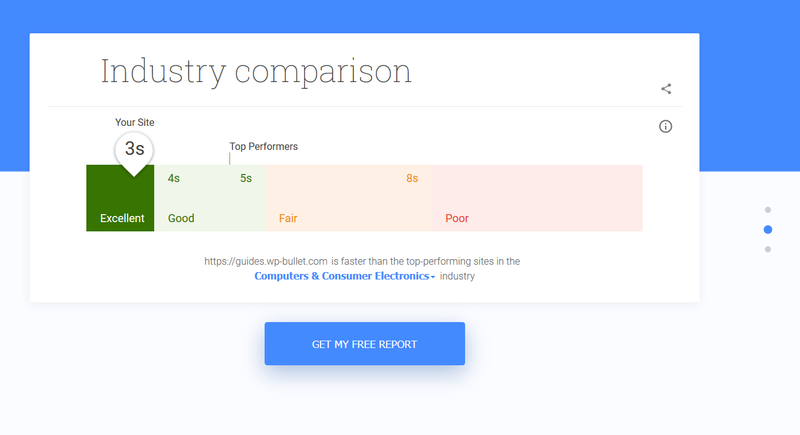 If you are looking for speed, I live and breathe WordPress and WooCommerce performance. I provide tailored speed up services for your site on any type of hosting platform: shared, VPS or dedicated. I have sysadmin and systems engineering skills to provide various approaches. Together, we will squeeze all the speed we can out of your current hosting solution or find a new one that suits you better – usually while saving you money too! HTTP to HTTPS migrations covering all bases so Google doesn’t punish you! 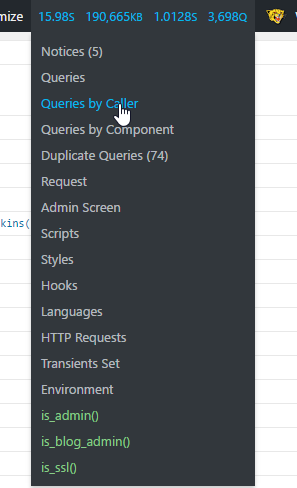 Performance Troubleshooting to find out what’s slowing your site down with New Relic or alternatives! Michael had some complaints from users that his site was taking too long to load. I managed to reduce his page load time from over 30 seconds (proof). After my optimizations it took 945 ms (proof) to load. That is over 30x faster!, Michael and his visitors are much happier now! A jewelry store named Unspoiled Jewels running WooCommerce came to me because they weren’t getting any sales. I ran some speed tests, before optimization it was taking 6.65 seconds (proof) to load. After my optimizations it took 900 ms. The site size reduced from 5.7MB to 2.1MB (proof) to load. That is 6x faster! They sold 4 items of jewelry that same week and are selling on average 1 product daily now! 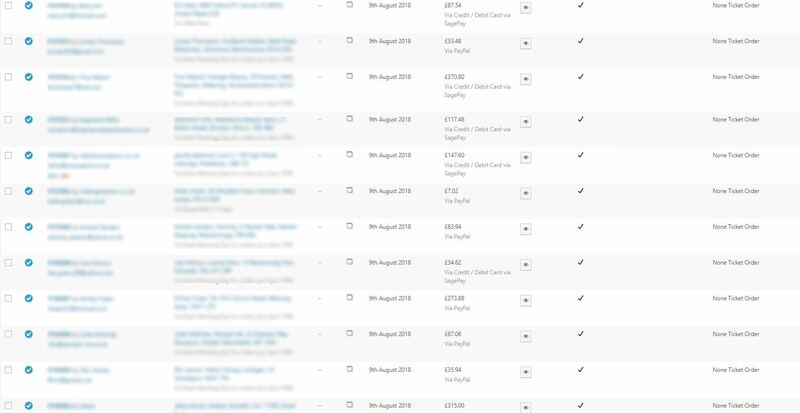 After we optimized the hosting, server and application, orders were going through like a dream and the admin team was no longer dreading doing their job in the backend! Christian had a fast site loading in 1 second he wanted even faster! 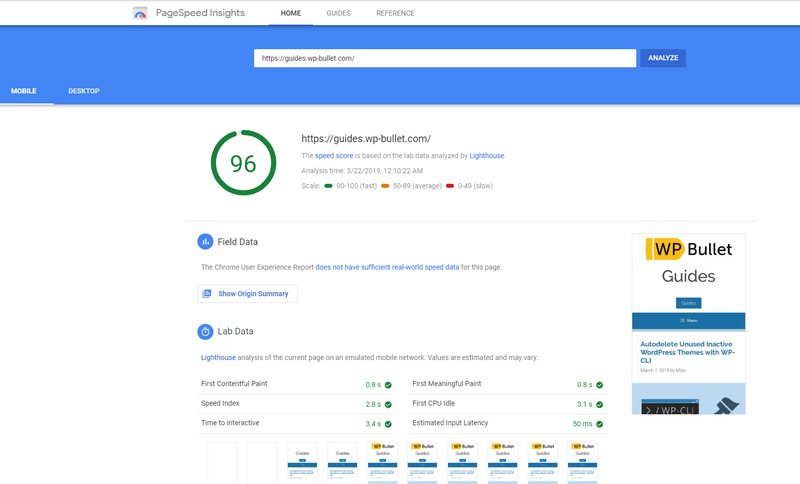 Pleasing Google can be challenging but with enough time and effort your site can be in the Excellent category for website speed just like mine! 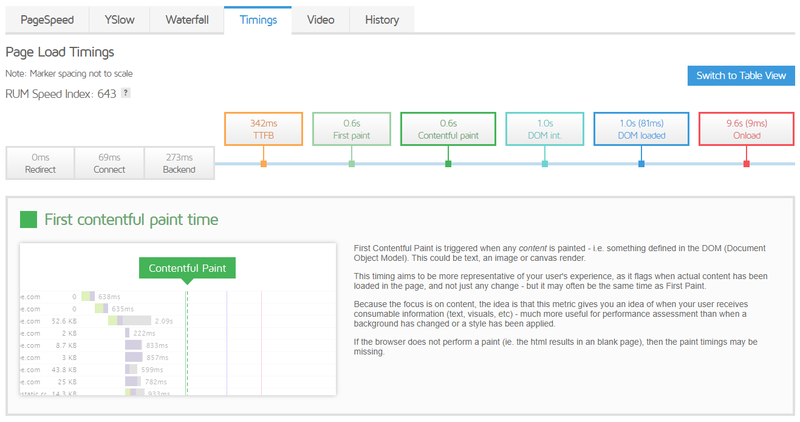 Contentful First Paint is how quickly you see consumable visual content for your website. This is absolutely crucial to pleasing your visitors – we are visual creatures! 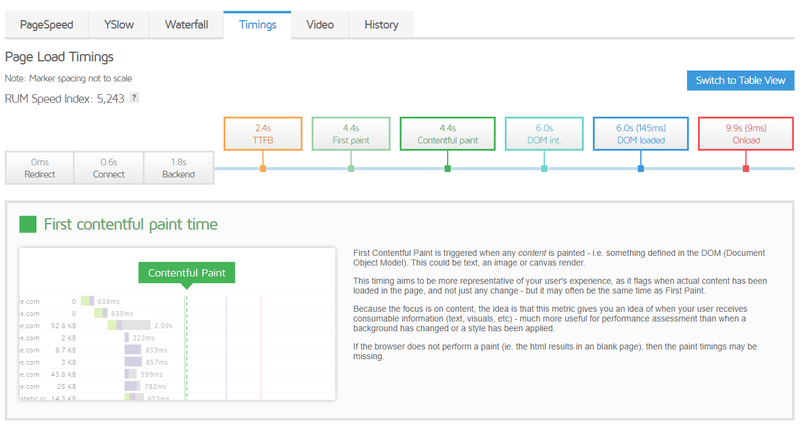 A contentful first pain(t) of 4.4 seconds is going to cost visitors and increase bounce rate. After optimizations we can get that crucial contentful first paint to a super fast level like 0.6s! Michael was also frustrated his wp-admin area was very slow. Who can blame him? Who wants to wait 15 seconds to manage their WordPress or WooCommerce site? A very popular news site in Asia was so slow you could not even access the admin area. After I spent several hours troubleshooting the results blew the client (and myself) away! Thanks to one of my favorite hosts for the New Relic screenshot – a fantastic company with great speed and quality support. One client had an agonizingly slow wp-admin area because of a bloated database which was excruciating to work in. Now it takes around 200ms after a thorough database cleanup! If you are looking to take your WordPress or WooCommerce speed optimization to the next level, let’s talk. I have extensive experience with Linux servers as a sysadmin and systems engineer on Debian, Ubuntu, CentOS and others. 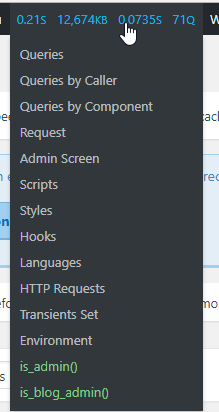 Server-side performance solutions like Apache, nginx, Varnish, Redis, memcached, Apache Solr and Elasticsearch are just a few of the technologies I work with daily. I can help you automate with scripting or help harden your site as well the way pros do it. Tom Usborne from GeneratePress was my first client whom I helped move hosting to save $500 a month and improve the speed of his site. Tom has also implemented performance improvements to his themes based on my feedback. I am privileged to work with Frank Gossens (the creator of Autoptimize) to create new awesome plugins. Most recently, my volunteer performance work has been with Elementor who have been taking on my suggestions to help make Elementor even faster. 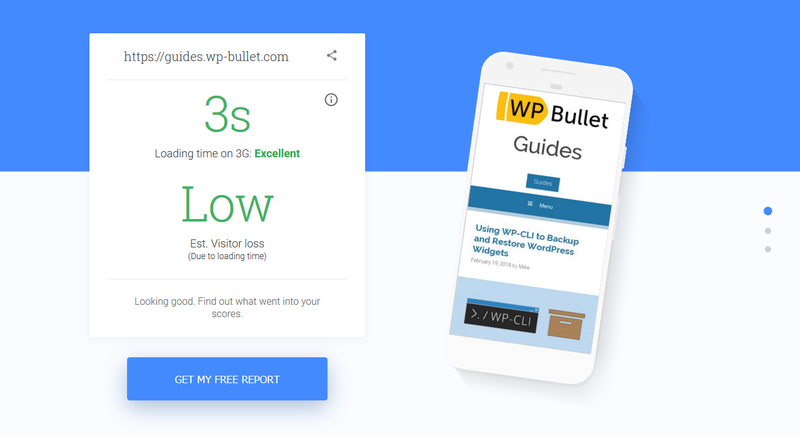 In my free time I write tutorials for making WordPress faster on WP Bullet Guides and design plugins to make our sites more awesome via WP Bullet. I also weightlift, enjoy watching football and assist on various WordPress groups on Facebook. Mike did an amazing job for us! We were experiencing excruciatingly slow speeds on the backend and instability on the frontend. By the end of one day, Mike had reduced our page loads on our backend down from 1 minute to 3 seconds. Our frontend also stabilized and he eliminated the 502 errors. 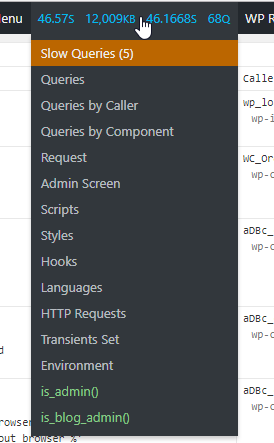 My staff is so excited that they no longer have to wait 30+ seconds for pages to load in WP Admin. Mike is a true professional; super knowledgeable, great communicator, and very accountable. We still have some work to do, but it's comforting to know that he is there as a resource. We will definitely be using Mike again. Mike did a great job communicating his plan, his findings and proposing next steps. He was also helpful in discussing topics that were not directly related to the project. Most striking was Mike's honesty in proposing to drop the next steps since he believed (and he was right) that they wouldn't be cost effective and cheaper solutions were available. It is a pleasure working with a developer that isn't just out to write hours, but thinks of the client's needs and puts in extra effort out of his own curiosity. I look forward to working with Mike again in the future. This is the second time I have hired Mike and he is always very responsive and has a genuine enthusiasm to help you solve your problems. You won't find anyone who is more knowledgeable on server configs and caching solutions than Mike, he will even educate your hosting company! He is an excellent communicator who takes the time to make sure you understand the problem at hand without jargon and he is a nice guy too. I highly recommend you hire Mike, he is worth every penny. I have worked with Mike on several projects for my site, and every time he has always been incredibly knowledgable, attentive to detail, and great at communicating what's going on. This time was no exception. Mike helped implement a complete site re-design and he was very thorough with testing, and made the switch to live super fast, smooth, and pain-free! Your site is always in great hands with Mike! 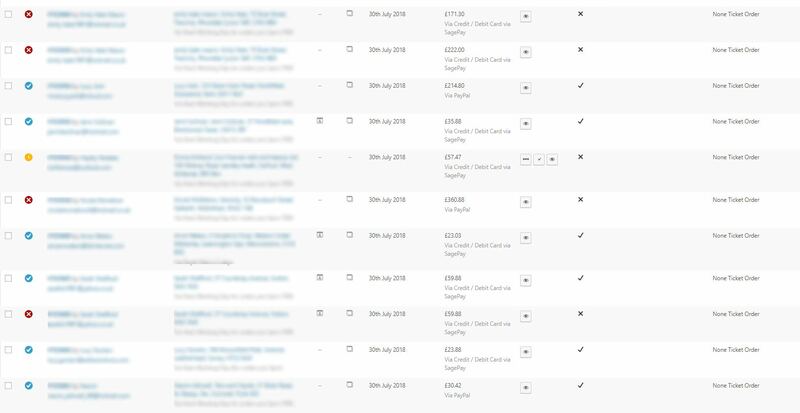 Mike has provided outstanding support so far to increase our site speed and performance ... looking forward to working with him more in the future.